Thread-like bacteria make cells that no longer have a cell wall under the influence of osmotic stress. 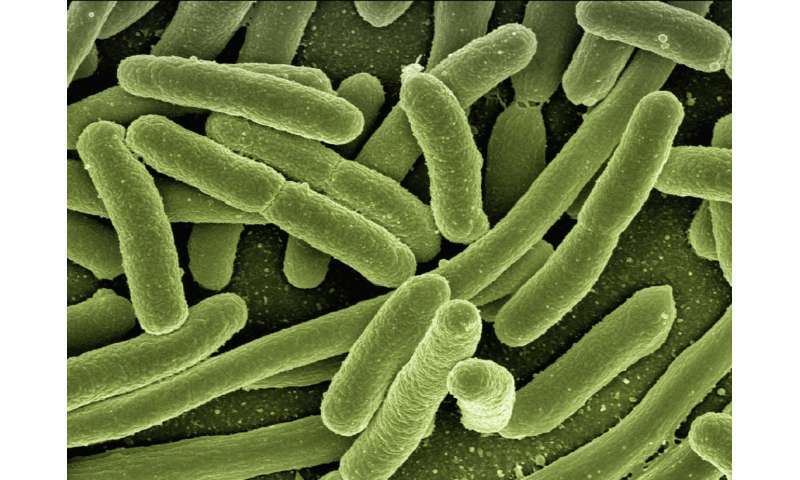 A remarkable discovery, since the cell wall serves as a protection barrier for bacteria. It could also help to explain how pathogenic bacteria can hide in our body from our immune system. A team of Leiden researchers led by Dennis Claessen has published this on 4 December in Nature Communications. Dennis Claessen and his group are investigating actinomycetes: filamentous bacteria that occur in the soil and produce antibiotics. "In this paper we show a special paradox," he says. "Bacteria are known for having a strong cell wall that protects against various forms of stresses and is therefore essential. We have discovered that many actinomycetes, under the influence of osmotic stress – for example high concentrations of salt, as present in the sea – make cells that no longer have a cell wall." An extraordinary discovery, since this cell wall should protect the bacteria from stressful environments. Strikingly enough, their discovery was a stroke of luck, says Ph.D. student and first author Karina Ramijan. "During a control experiment I was surprised to see through the microscope that the bacterium made round cells without a cell wall." Cell wall-deficient cells have been known for some time, but so far, they have only been made in laboratories under highly artificial conditions, such as an excess of antibiotics or enzymes that degrade the cell wall. Claessen's lab is now showing for the first time that bacteria can also produce cells without cell walls under more natural conditions. "You can imagine that this discovery will cause a shock in the field," says Claessen. "It gives a whole new understanding of the flexibility of microorganisms under stress and their ability to adapt to their environment." The discovery of his group shows that growth without cell walls may be an important adaptation for bacteria to withstand periods of stress. The discovery is not only important for science, but may also have important consequences for society. "Actinomycetes are relatively innocent bacteria for humans, but there is a chance that many more bacteria have the ability to produce such cell wall-deficient cells. We suspect that pathogenic bacteria may also do this inside of us," says Claessen. "That could explain how pathogens hide in our bodies, because the cell wall is an important landmark for our immune system." "This loss of the cell wall can be further promoted by the use of antibiotics that inhibit the formation of the cell wall," Claessen says. "After such an antibiotic treatment, the bacteria can revert and regenerate cells with cell walls, which can make you ill again." Claessen notes that investigating this will be an important goal for the coming years, for his own group as well as for the scientific community.